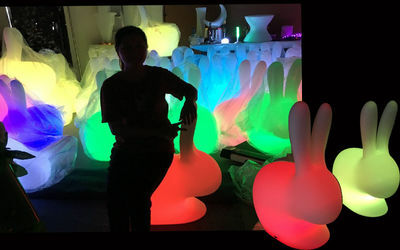 Factory Tour - Dongguan Wise Illumination Technology Co., Ltd. Lighting up led light and use all of battery power , full charge again. 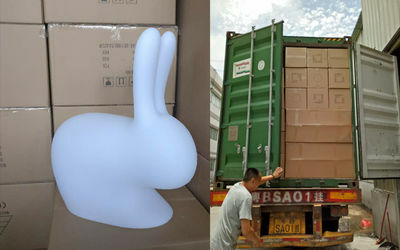 Screw led light into rabbit chair and test again ,before pack in carton. 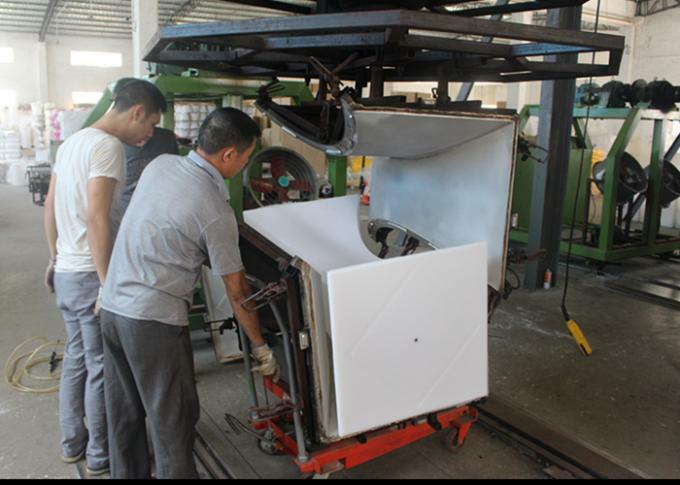 take the rabbit mold to the rate machine, and after 45 minutes ,finished the shaped of the rabbit, and take out the rabbit from the machine. cut down the led light hold . 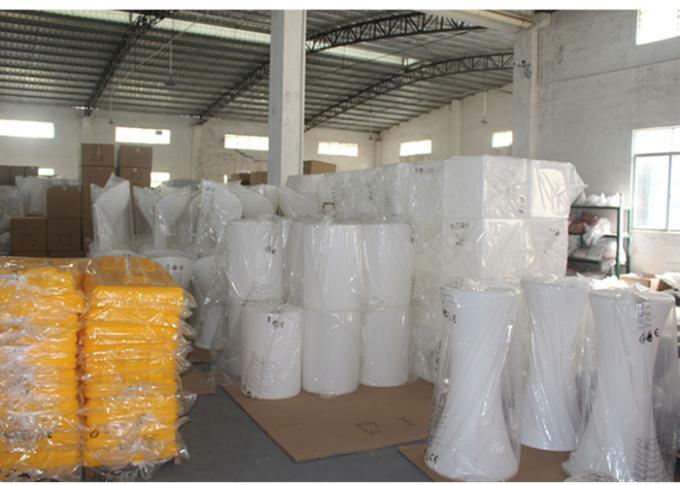 PP bag cover the product , and pack in the standard export carton.come white led remote control,user manual,adapter . you can mix your order, select so many kinds of item form us . and let us ship via sea. FOB Shenzhen/CIF your nearest your seaport is available for us. welcome order here. 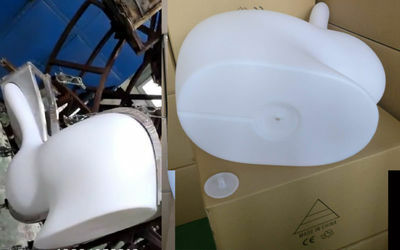 Produce led lamp shell-Install led light-finished led light with shell -test led light and packing. 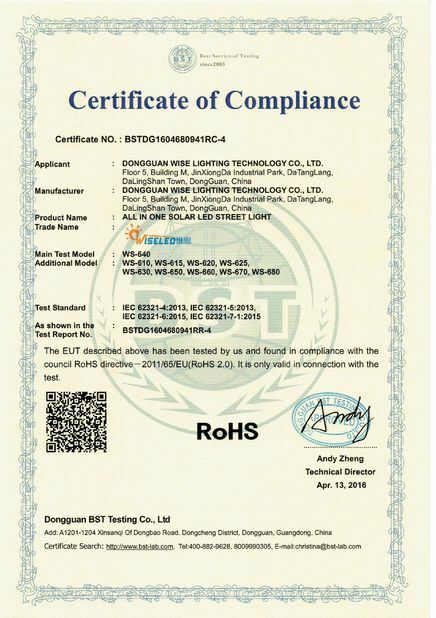 we offer 100% test led light before packing . make sure the good quality , best service . 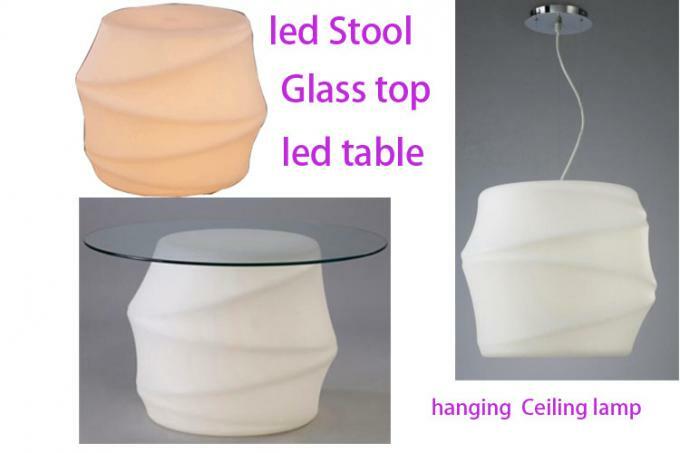 Alarge range of LED furniture,led decorative light available to sale . 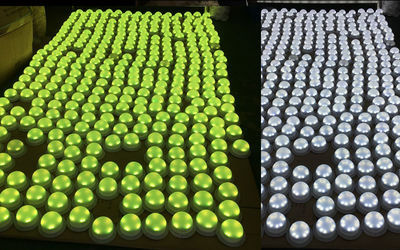 We sale led bars, led uplighters, led poseur tables, furniture and led cubes. LED furniture is a great way of creating a vibrant chill-out area in a space. Bold bright colours really do enhance the look of a function space. 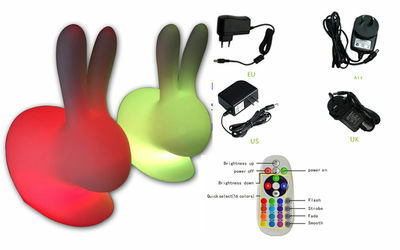 Most of our LED furniture is wireless and operated by remote control.. Ranging from our ever-popular LED light cubes which make the perfect seat, to our great centre piece the illuminated LED starlit Dance floor. All our LED hire furniture is provided with the latest in advanced technology and design, ensuring an exciting evening truly personalised to your specific tastes and requirements. With the latest and greatest new products and ideas our innovative items will wow your guests and contribute to ensure your event or Asian wedding is a memorable one. we offer the customized color packing ,blister packing .logo print on the white PE house . 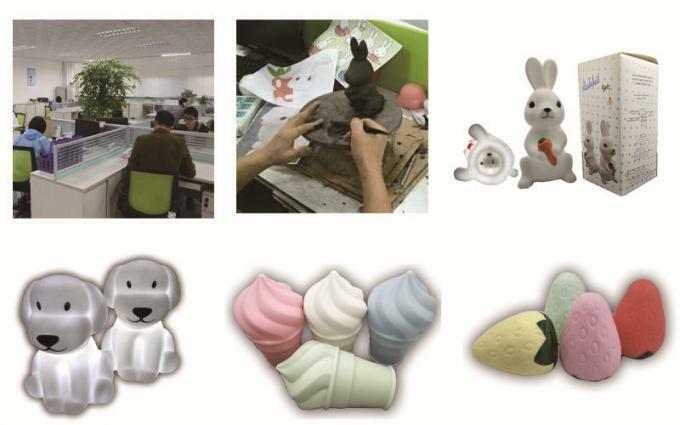 Welcome client offer their design , and we will open the mould for their design with led light. 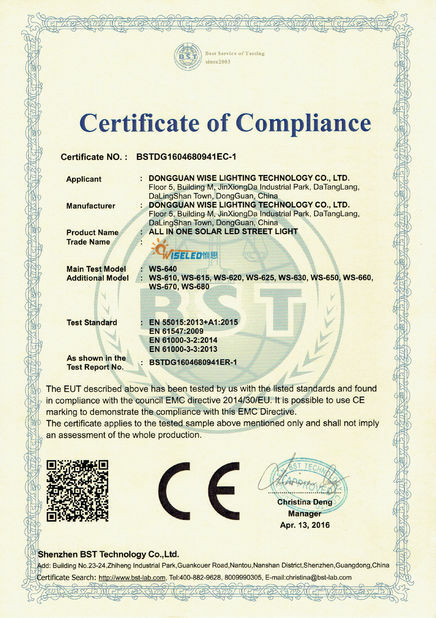 With over 5 years experience in the Solar and Lighting industries, we here at Wise Lighting are focused and committed to our customer’s satisfaction. Our vast range of environmentally friendly low power products are suitable for use in the home, office,party ,night Club,bar applications and our helpful friendly staff will help you with everything from lighting design, to quotes and installation. lowest power consumption for amount of light they generate. longest life span of any of other lighting products up to 50,000 hours. full recyclability unlike glass based lighting products. full range of lighting products from lighting furniture to table lamps, home, office, commercial, factory to street and gigantic stadium lights. Li-ion Battery Charge with US , AU, EU, UK Adapter type or 3*LR44 Battery ,3AA Battery Power or USB AC Power. Our LED expertise is working for you. if u can dream it,we can make it! 2)for client 1 design we can made the Polyethylene shaped house use as led bar stool,led table,or modern design led ceiling lamp. 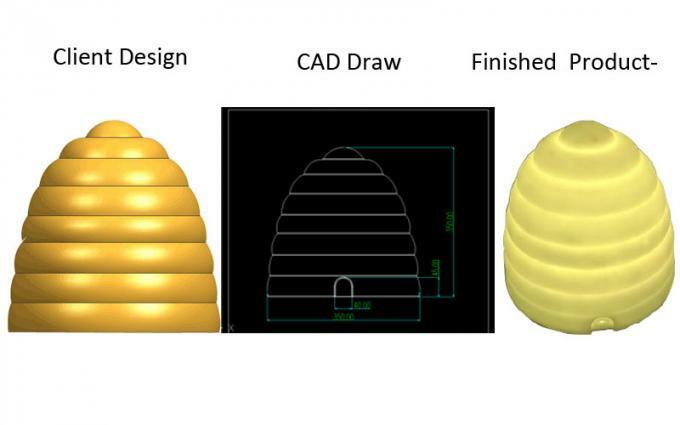 Professional R&D term, develop new design every season to meet the support clinet business. we guarantee not only to provide service in a timely and professional manner but we will also save you money on your home or business’s electricity bill’s while helping reduce the carbon and pollution in our environment.